Are you looking for a special, unique and personal gift? 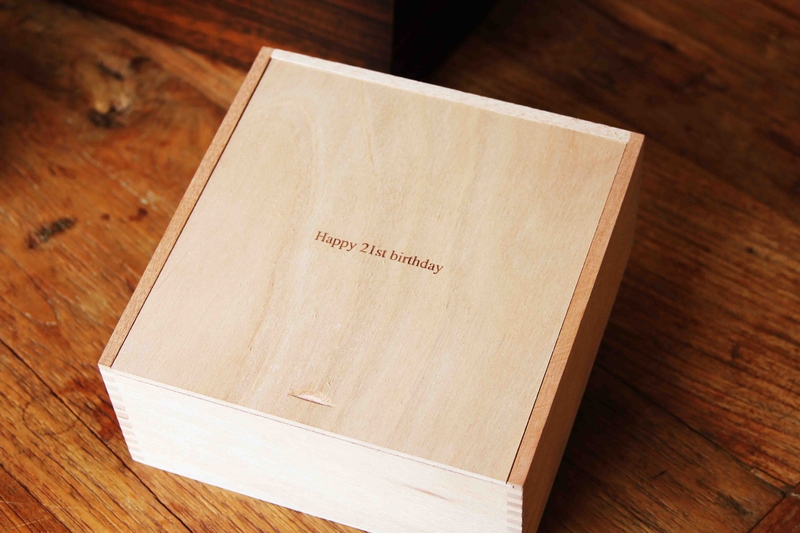 With our personalization service, we can turn a nice gift into a special gift, by laser cut engraving. An elegant engraving transforms every gift into a unique and personal gift for your loved ones. Personal engravings are the perfect gift for special occasions. For example, the graduation of your children, the wedding anniversary of your parents or a birthday of your loved one. With our laser engraving, it is possible to engrave a name, initials, date, logo or even a message in our products. Many of our products are very suitable for engraving. 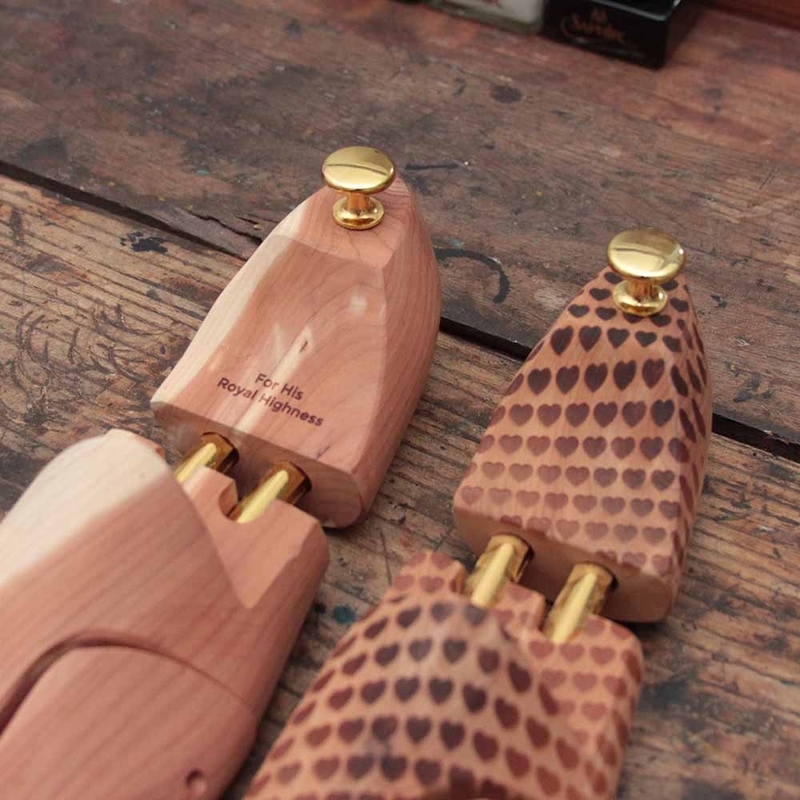 For example our shoe care valets, brushes or shoe trees. Send us a message and we will help you with any question. At the moment we plan all engravings on certain dates, due to the high setup costs. After engraving your order is shipped the same week or the following week after. 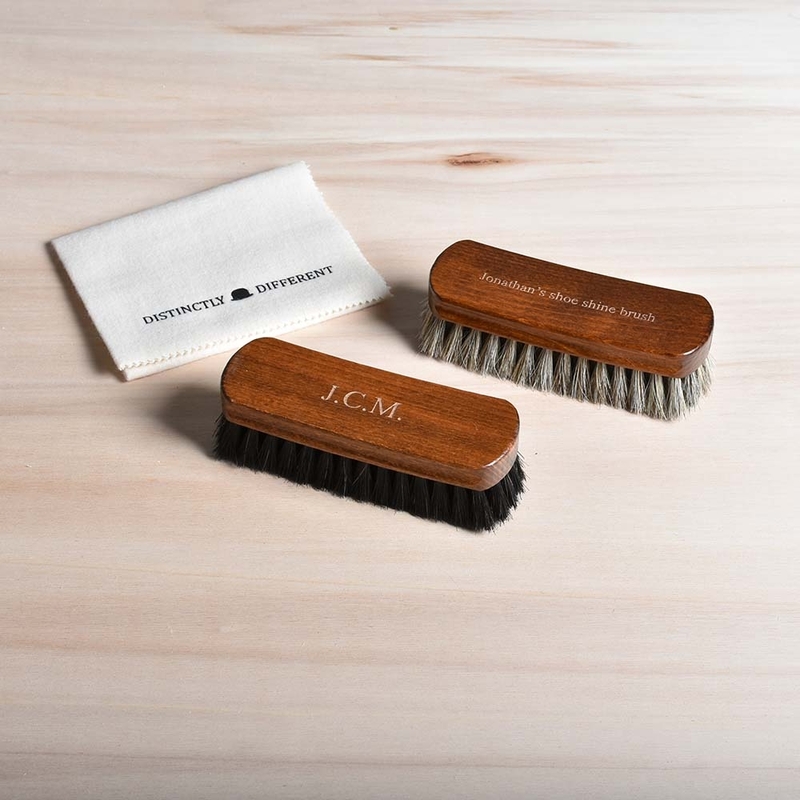 Because of their larger size, the Distinctivo and beechwood valets cannot be engraved directly into the wood. Instead, they are provided with a brass looking plate. The Distinctivo has the plate on the inside of its lid and the beechwood valet has it on the front. Indicate what kind of engraving you want and we will arrange it for you. At the moment we process all personalized orders at a fixed time in the month. This is due to the high start-up costs of the process. Prices for engraving a shoe care valet starts at €15, depending on the size of the engraving. The valets will be shipped a week after the engraving deadline. You need the engraved product earlier? No problem! With our express service, we can deliver the product within a few days. Please note that we charge a €30 fee for the rush order in addition to the €15 for the engraving, due to the high start-up costs. The €30 fee is only calculated once per order. If you order multiple engraving products, you only pay €30 once.